After an all night drive to Crater Lake I was greeted by a locked gate do extra deep snow fall during my commute. Opportunity is sometimes disguised. 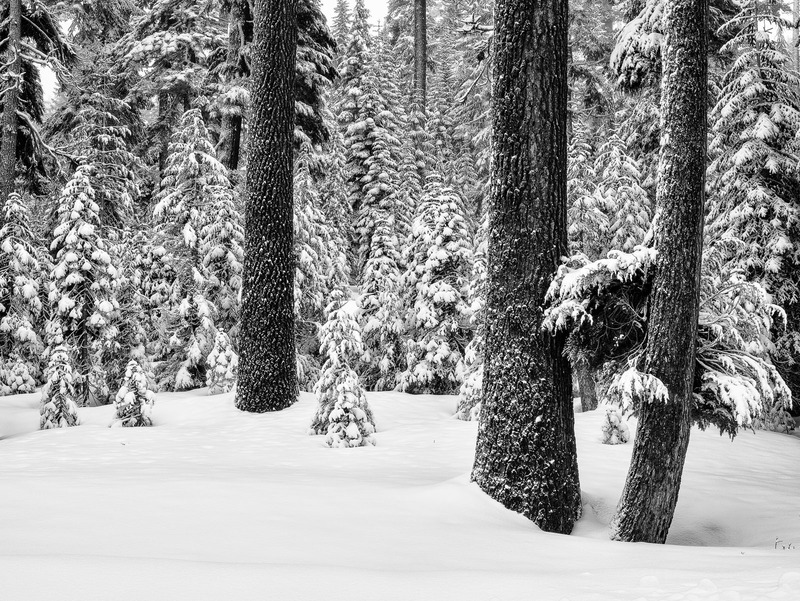 The forests around the area where blanketed in fresh snow creating a winter wonderland. The lake could wait. Photo © copyright by Lance B. Carter.